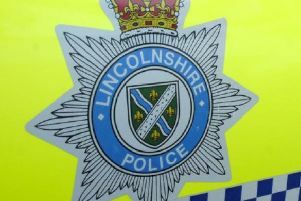 Update (Thursday): Lincolnshire Police have now arrested a 19-year-old man in connection with this incident. Lincolnshire Police are trying to identify a man following a theft in Grimoldby last month. On April 19, three men entered the Co-Op store in Manby Middlegate, in Grimoldby. According to police, two of them purchased goods, while the third took £306 worth of bottled spirits and placed them in a yellow bag before leaving the Grimoldby store. This man (pictured) has been described as a 5ft 10, slim and in his mid-twenties. He has black hair, and was wearing a black coat, blue jeans and white shoes. If you have any information to assist police, email force.control@lincs.pnn.police.uk or call 101 quoting incident number 246 of April 19.